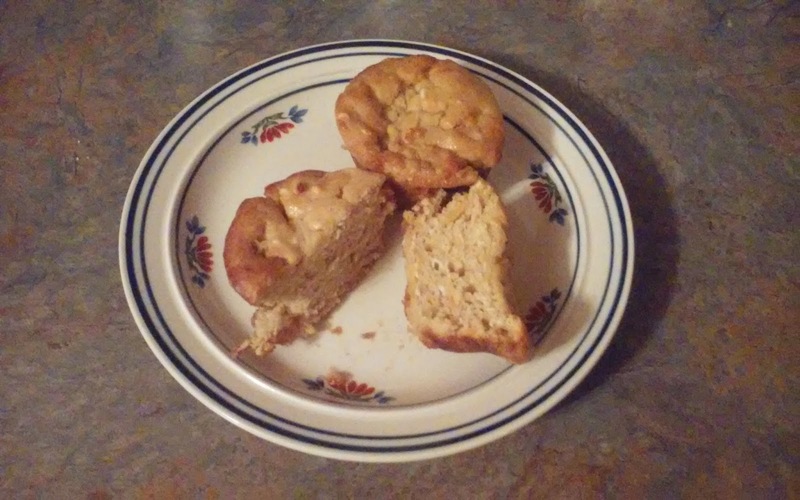 Looking for easy, vegan and gluten-free muffin recipes, I came across a delicious looking sweet ginger one. But, it wasn't completely perfect to go with the soup I was planning for dinner. Therefore, I did the conversions needed to end up with Sweet Ginger Cheese Muffins. Here I'll tell you about the original recipe along with the changes I made to create my new muffin recipe. Although my recipe is both vegan and gluten-free, I've included the easy changes you can make to convert it to standard diet fare. 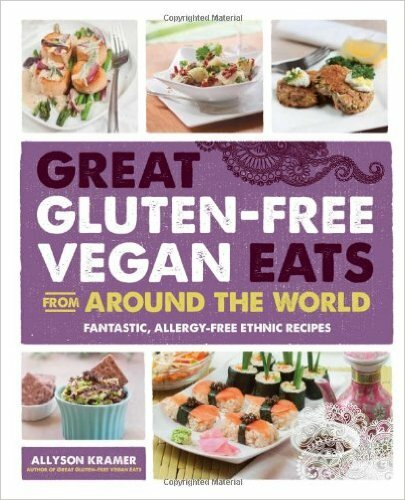 One of my favorite vegan and gluten-free cookbooks is Allyson Kramer's Great Gluten-Free Vegan Eats from Around the World. 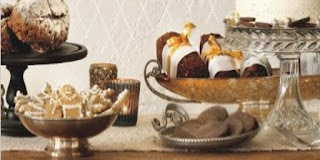 In her section titled Tasty Treats from Central and South America, she includes a recipe for Chilean-Style Sweet Ginger Cake. This was the recipe that enticed me into creating my own version. Sweet Ginger Cake is meant to be a dessert. But, to go with the potato leek soup I was serving, I wanted something a bit less desserty. Ergo, less sugar and sweet ingredients and the addition of vegan cheese shreds and nutritional yeast. 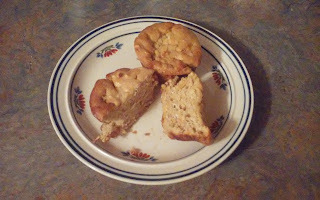 The result was a delicious cheesy muffin similar to sponge cake in texture. Cream these ingredients together until they form a smooth paste. I used my stand mixer for this. It just goes so much faster. Mix all of this together until you have a smooth batter. Finally fold in 1/2 cup of shredded cheese. I used a combination of Daiya brand mozzarella and cheddar style vegan shreds. Grease and flour 12 standard muffin cups and divide the mixture among the tins. Bake at 350 degrees for 25 minutes or until golden brown on top. 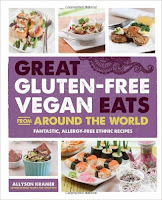 For those of you who are not familiar with vegan and gluten free cooking, many of these ingredients will sound foreign. But every single one is available in health food stores and online. If you want to make these muffins in a more conventional way, you can easily replace the vegan margarine for butter, replace both the tapioca and gram flour with all-purpose flour, skip the xanthan gum and replace the vegan versions of milk and cheese with dairy versions. Nutritional yeast is not like standard bread yeast. It's deactivated and more similar to brewer's yeast. It adds a cheesy flavor and vitamin B12 to anything it's added to. Nutritional yeast is found in a dried version, either flakes or powder. If you don't have nutritional yeast, you may want to add more cheese shreds. Either way you want to make this recipe, you will enjoy a combination of flavors. Unexpected combination, I agree, but the result will complement soups and stews wonderfully. As a vegan cook, the holidays are especially tricky. Most holidays including Thanksgiving, usually center around a big meat dish. 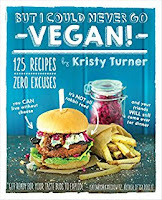 Here I'll give you my reviews of the vegan cookbooks I've used throughout the holidays. Some are better than others, of course. Some give you menus to work from while others have given me ideas to get me started on my own menus for the various holidays. 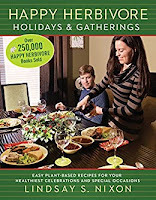 Whether you want to serve a full vegan holiday dinner, or just need some good ideas for vegan dishes for your guests, you can find the recipes and ideas you need in each of these vegan holiday cookbooks. 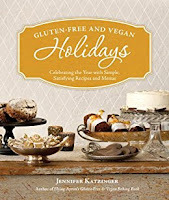 My favorite, the one that I turn to most often, vegan holiday cookbook is by Jennifer Katzinger titled, Gluten-Free and Vegan: Celebrating the Year with Simple, Satisfying Recipes and Menus. I've reviewed it more extensively in an article for Cooking for the Holidays site, so I'll just summarize here. Author Katzinger is a long experience vegan chef, but she's a baker by love. Her desserts are amazing. She shares her vegan and gluten-free versions of traditional holiday desserts. It's her Thanksgiving menu, with all of the simple recipes that I turn to most often to celebrate this holiday. Appetizers, main courses, side dishes and desserts are all combine to make a great Thanksgiving dinner. Lindsay Nixon has made a name for herself as the Happy Herbivore. 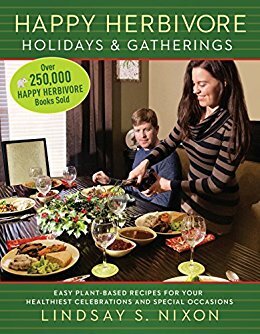 She has many cookbooks on the market, but her Happy Herbivore Holidays and Gatherings: Easy Plant-based Recipes for Your Healthiest Celebrations and Special Occasions is one of her best in my vegan opinion. I was delighted at how easy her recipes are. Since I'm basically a lazy cook, I needed simple, yet tasty recipes. She has a wealth of them. And she doesn't require exotic ingredients in her recipes. That sure helps if ethnic markets are not close by. Fair warning here. If you are already a Happy Herbivore fan and have others of her cookbooks, you will discover that she recycled many of her other recipes. But, these are organized for those big holiday celebrations. The good news is that all of my non-vegan friends and relations enjoyed my vegan menus. Even my son-in-law didn't feel the need to rush to McDonald's for a McRib sandwich or two! Now that is a true compliment to the Happy Herbivore. If you want to plan your own menus for the holidays or just looking for interesting vegan recipes, I have a favorite cookbook for you. 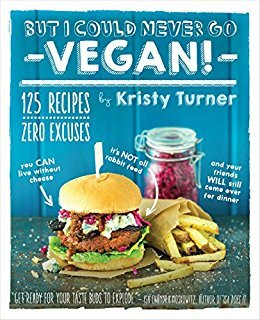 But I Could Never Go Vegan, by Kristy Turner, is it. Forget boring standard fare, Turner gives you an amazing collection of unique and interesting recipes. Avocado and Kale Florentine is one of those unique and interesting recipes. I've included it many brunch menus. Talk about a hit! Author Turner has plenty of these hits. Her vegan Cheesy Veggie Stromboli is usually part of my vegan Thanksgiving dinner. Savory Corn Cheesecake makes a stunning presentation of your holiday table. Whether you want a full menu to make a vegan holiday meal, or just looking for something special to add to your table, any of these cookbooks could be your answer. Each one holds a special place in my cookbook collection. You can always find more cookbook reviews at Review This! Books. With outdoor grilling season soon to be upon those of us in the colder climates, it's time to tell you about a new cookbook I found. Grilling Vegan Style, by John Schlimm, is way more than just another vegan cookbook. It turned out to be an eye-opener for me. It's true I have had to turn to vegan eating for my own health, but I also discovered how exciting and delicious the foods can be. One thing I wanted to do was to grill vegetables. 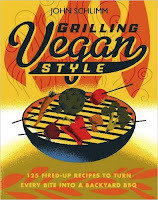 Haha - you think a vegan lifestyle is stuck with grilling veggies only? Then you are in for a treat with Grilling Vegan Style. Now, I will have to admit that I was a complete novice when it comes to using an outdoor grill. I had just gotten my first grill. But how much charcoal do I put into it? How will I know when the coals are ready? My list of questions was long. And author John Schlimm came to my rescue. He starts off with a simple explanation of how to handle a charcoal grill. After reading his explanation, I made my first grilled dinner easily. So maybe you have lots more experience than I do. Maybe you have a gas or electric grill. Don't worry. Schlimm has you covered there, too. He details what temperatures look like on your settings, how to prepare your grill for cooking, even how to work with direct and indirect heat. Granted, my initial grilling attempts were simple things like veggie kabobs and veggie burgers, but I knew I would expand into all numbers of delicious dishes after looking through Grilling Vegan Style. Schlimm shows you how to grill any number of foods including fruit. Grilled pear halves is now a great favorite at my house. Those of us who enjoy tailgating have a friend in Schlimm. He has a whole chapter full of great recipes just for tailgate parties. Take a look as his Halftime Pizza recipe for example. More than just tailgating, he covers picnic options, summer salads topped with grilled goodies, even PB & J sandwiches for the kids in all of us. Personally, I can't wait for watermelon season. Yep, you heard that right. Grilling Vegan Style includes a recipe for a grilled watermelon salad. John Schlimm is not just your average cookbook author. He adds many helpful tips to make grilling easier, better and more flavorful. My favorite trick, learned from Schlimm, is to soak potato fries in hot water before grilling them. That gives the fries that crispy outside. He includes a whole chapter on marinade recipes. Not only are they delicious, but he offers timelines to help you. How long to marinate different veggies, fruits and other yummy treats, like tempeh and tofu. As my world starts to gain warmer days, I'm grilling more and more outside. 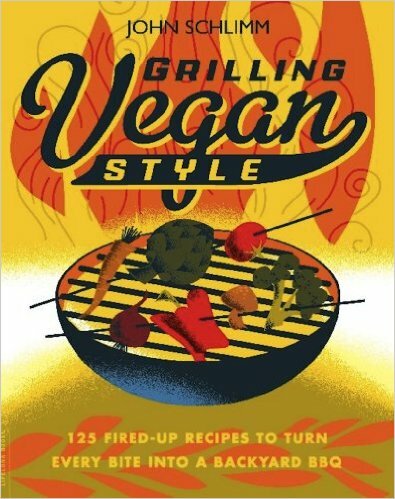 And my go to cookbook, not only for new recipes, but new ideas as well has become Grilling Vegan Style. Frankly, I'm not sure I would have been so successful from the beginning without it. May you have as much fun grilling as I do. In the 1950s, one of the more popular gifts for the new bride was a copy of the Better Homes and Gardens New Cook Book. My mother was one of those lucky brides. This became her favorite cookbook and one of the few cookbooks in her kitchen while I was growing up. I learned how to cook, grocery shop, and eat healthy from this one book. Yes, I learned all that from a cookbook. That cookbook taught me how to plan meals, frost a cake with flair, sear a roast beef, substitute for ingredients not on hand, find nutrition information for the foods we ate, and get creative in the kitchen. Cookbooks aren't boring. Cookbooks are fun and I love to collect cookbooks. Just look inside my kitchen bookshelf and you'll only see the half of it. There are cookbooks for most any occasion. All-purpose cookbooks. Beverage guides. Bread baking recipes. Vegetarian dishes. And more. What Makes a Cookbook Worth Having? A good cookbook is any cookbook that helps you prepare delicious and nutritious meals that you can reasonably re-create in your kitchen. Here are a few guidelines to help you choose a cookbook that is right for you. Does the cookbook appeal to you? Choose a cookbook that serves up recipes that you and your family will enjoy eating. Are the recipe instructions easy to follow? Read a few of the recipes. Directions that are split into numbered steps are easier to follow than directions that are grouped into paragraphs. Is the cookbook organized so that recipes are easy to find? 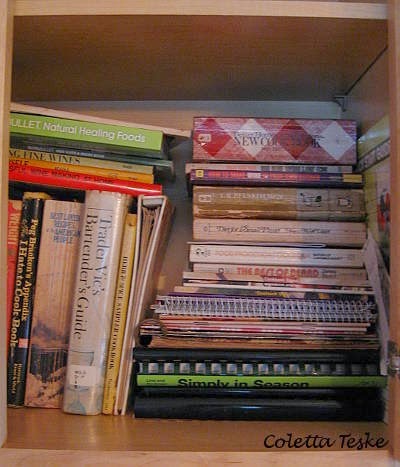 Most cookbooks are organized into sections whether it be by type of food (meat, fish, poultry), cooking method (baking, broiling, boiling), or by the dish (breakfast, lunch, dinner). Is the cookbook easy to work with in the kitchen? Does it lay flat? If it doesn't, buy a cookbook holder that not only keeps the book open but also keeps food from splattering on the book pages. Did the cookbook teach you any new tricks? Look for cookbooks that share a few tricks of the cooking trade. A cookbook should make cooking an adventure that is enjoyed and savored. My all time favorite cookbook is still the Better Homes and Gardens New Cook Book. I don't have my mom's old ring binder version, although I did tell her to leave it to me in her will, but I do have a fat and dog eared paperback version that is my go-to guide in the kitchen. Over 1200 recipes and 1000 color photos. Suggestions on how to make the same dish in different ways. Chapters on holiday meals and home canning. A fruit and vegetable guide with photos. 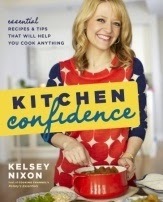 My second favorite cookbook is one that I've recently acquired, Kitchen Confidence by Kelsey Nixon. I love this book and you won't guess why. I love this book because it makes me smile. It's one of those books that gives me a warm and fuzzy feeling. Why does this book make me smile? Kelsey Nixon's sunny personality just shines off the pages. Learning new things is so much easier when you have a friendly person standing by your side. I absolutely adore this book and you can read more about my ravings in my book review, Food Makes the Love Go Round. There's no right or wrong when it comes to cookbooks. I have a shelf full of recipes and other foodie concoctions. Even though many of these books are only opened on rare occasions, each of my cookbooks has a special purpose in my kitchen. Tell me about your favorite cookbook in the comments below. And, if you don't have a favorite, take a look at my selections and add some spice to your cooking routine. Mother's Day is just around the corner, so now is the perfect time to pull out your favorite cookbook and plan a special treat for mom. If you or your mom love cooking for the holidays, or anytime, a holiday cookbook is also the perfect gift for Mother's Day. I know I personally have a collection of specialty and holiday cookbooks that I absolutely love and frequently grab for reference. I enjoy "pouring over a cookbook", as my own mother would say, reading recipes, making a grocery list and planning to try a new recipe. 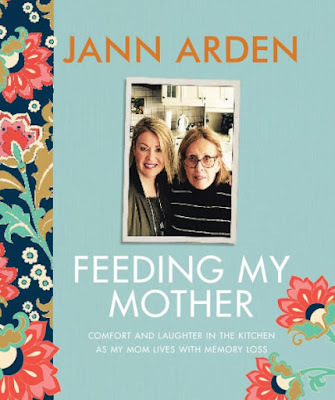 Our very own pioneer woman, RenaissanceWoman2010, reviewed a fabulous cookbook for all of us recently in her article entitled, I'm Spending the Holidays with Ree. I was so impressed by her review, that I simply had to purchase my own copy of The Pioneer Woman Cooks A Year of Holidays. I have my own grandmother's Pecan Pie recipe that I use, but the recipe and featured photo were all I needed to see to know I had to have the cookbook! 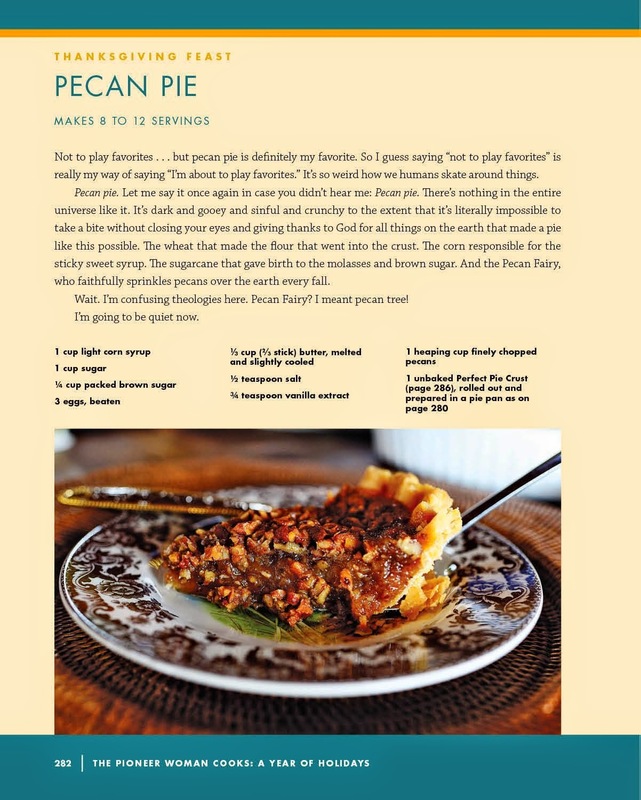 The Pioneer Woman's Holiday cookbook is chock full of some great recipes and while I don't know Ree personally, I do know she will now be a part of my holidays too.